...but at least I've done some sketching. Yes, it's been about a month and a half since I've posted anything. Truth is I haven't been making much art lately and what I had done has been mostly experimental, or I've abandoned it before finishing. 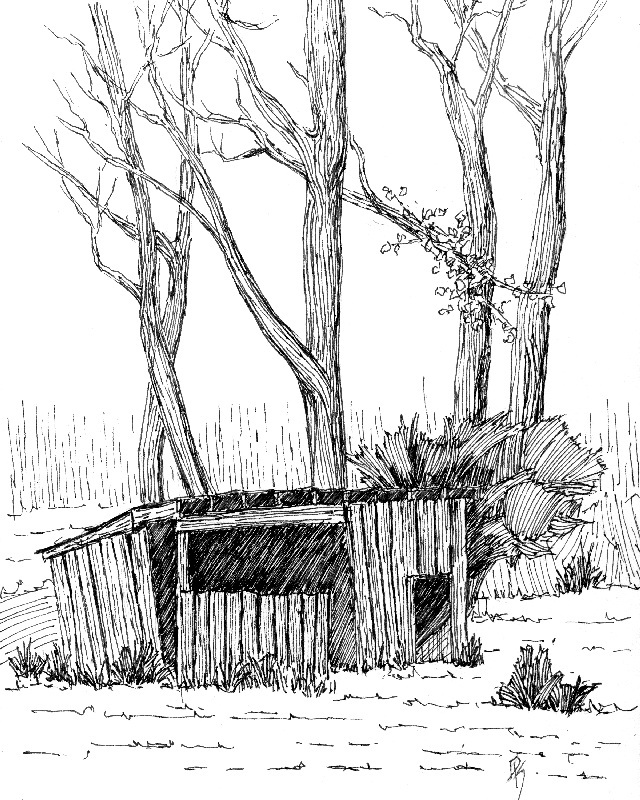 I have done some life sketching though. 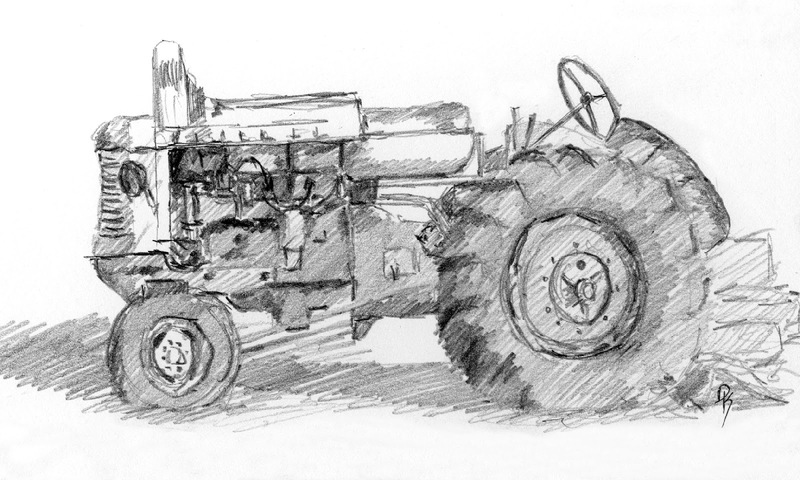 I did this pen sketch from inside my car out in the southwest quadrant of the valley a couple weeks ago. Yes, even in the middle of the suburbs you can find the occasional rural subject. I had Franklin Booth's style in mind while sketching this, it's a poor imitation but was an interesting exercise. It's been a long time since I've been to Wheeler Farm, there have been some changes, however this vintage Minneapolis Moline tractor is still sitting in the exact same place. 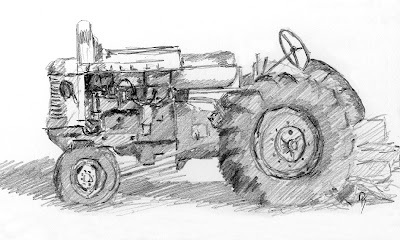 I've sketched this tractor before, but from an angle in pen and watercolor. This time I kept it simple and just used a .9 mechanical pencil. 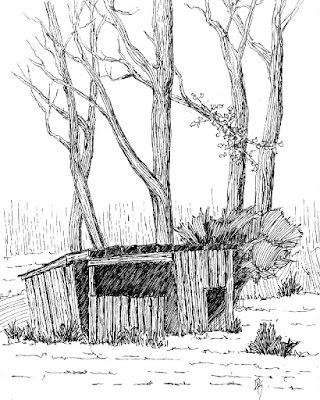 It looks like the winter weather is finally moving in starting tomorrow, I wish I could say I'll get back into the life sketching habit and go out every week but that's going to depend on the weather.